The solution to your regular "what to wear" dilemma. 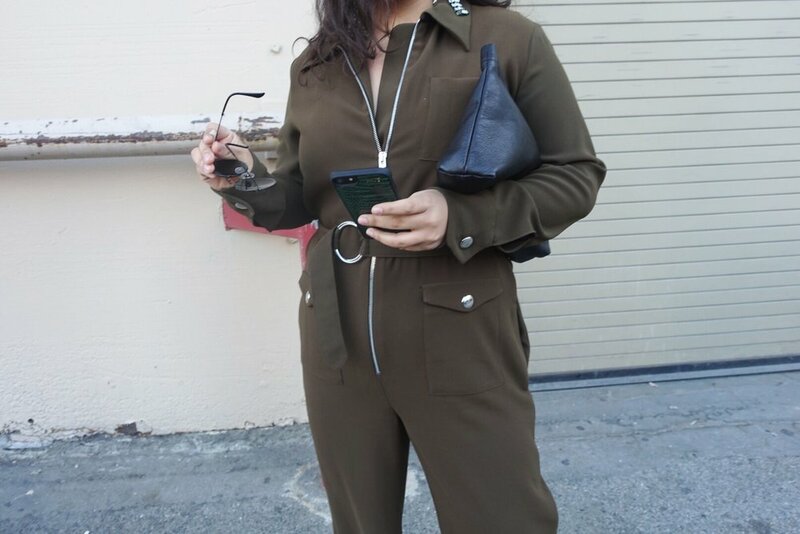 A jumpsuit is a no brainer because you don't need to match anything to it. In fact, you can trick someone into thinking you spent a solid amount of time getting ready, when in fact, all I did is zip this on and add heels and I'm out the door. 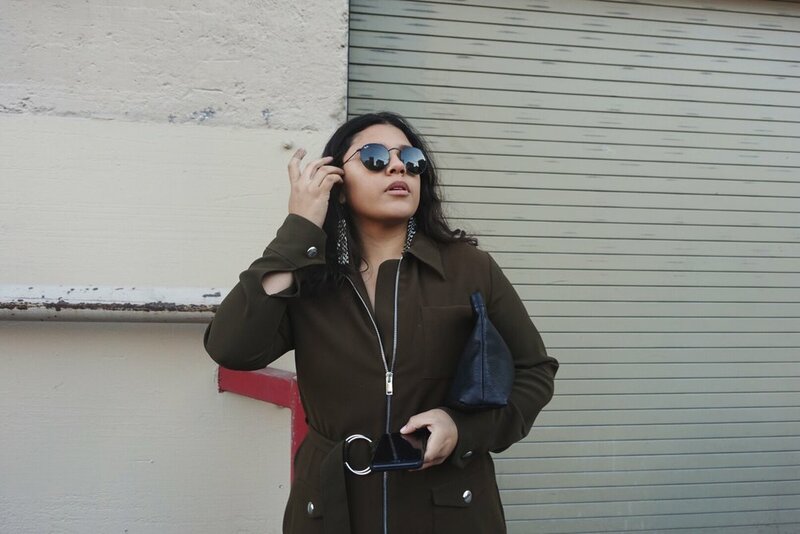 This jumpsuit is a great khaki color but if you are more adventurous, then even try a print that adds a little something extra to the world's most simplest outfit.